In Vikings Can Fly! you play as Bjorn, a young viking inventor with an incredible passion for women and a laboratory full of weird machineries. He casually met a valkyrie that was bathing by a waterfall and he suddenly felt in love with her. She obviously ran away leaving a sweet perfume trail along her path. 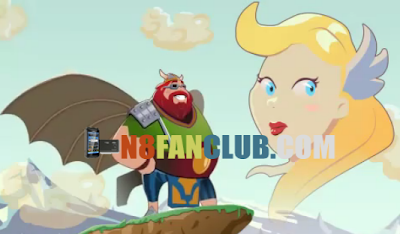 Bjorn ’s dream is to find her flying through the nine worlds of the Norse Gods to reach Asgard!